With the winter months and unexpected weather conditions comes the possibility of school closures and schedule changes. The decision to change school schedules because of adverse conditions is based on one factor: the safety of all students and staff. Who makes the decision to close schools, delay the start of schools or dismiss schools early? The APS Superintendent and Incident Response Team make the decision to close schools, delay the start of schools or dismiss schools early. When are decisions made about school closures? APS makes every effort to decide and announce decisions to close or delay the start of schools before 6 a.m. The planning and review process usually begins the night before. For early school dismissals during the school day, APS makes the decision as soon as possible. Once a decision is made, APS will notify local media, record a message on the APS Emergency Hotline at 303-326-1080, post updates on the APS website at aurorak12.org, the APS mobile app, Facebook and Twitter, and send a message to parent phones using our automated messaging system. APS will also send updates to staff members through email and phone messages. What factors go into the decision to close schools, delay the start of schools or dismiss students from school early? The decision to change school schedules because of adverse conditions is based on one factor: ensuring the safety of all students and staff members. Using a variety of resources, the APS Incident Response Team gathers as much information as possible before making the decision. IRT staff members begin assessing conditions the night before a possible closure or delayed start to determine the impact of weather conditions on operations. The Incident Response Team also monitors ongoing weather reports, road conditions from the Colorado Department of Transportation, and information from local and state law enforcement agencies. In addition, APS consults staff members for first-hand accounts of current conditions, such as school bus drivers who are driving their routes, transportation personnel who arrive at bus stops, and maintenance staff members assigned to plow school and building parking lots. The Incident Response Team makes the decision to delay, close or release students early as soon as possible to ensure the safety of students and staff. How do you alert parents, students, staff and the community about school closures, delayed starts and early dismissals? Other school districts have delayed openings, but APS rarely does this. Why? Weather conditions may vary throughout the metro area, as well as other unique situations, such as transportation availability, so each decision is based on how conditions will affect students attending a particular school or all schools. APS officials are sensitive to the fact that students may arrive late when weather conditions are poor. Should the APS Incident Response Team make the decision to delay school, the school day would begin one hour later than normal. Staff members are expected to arrive at school as close to their regular start times as is safely possible as some students will arrive on time. APS buses will pick up students one hour later than normal. Our top priority is to keep students and staff members as safe as possible. Please note: A delayed start does not change regular pick-up times at the end of the school day. Is there a set temperature that would cause the district to close schools? There is no set temperature that would cause APS to close schools, but it is one of many factors, along with road conditions, that the APS Incident Response Team takes into consideration when making a school closure, delayed start, or early dismissal decision. Extreme temperatures may cause schools to limit recess, off-campus lunch hours for high schools, and extracurricular activities. Sometimes schools have power outages or other emergencies such as broken pipes. When this happens, what is the procedure at Aurora Public Schools? APS staff members make every effort to protect students, provide for their comfort and ensure their safety. Sometimes power outages cause classrooms to get cold, but APS does not want to send students home unsupervised or to cold and dark houses. School principals, in conjunction with the APS Superintendent and Incident Response Team, can make the decision to send students home early. If this happens, APS notifies the news media and attempts to contact parents. Information is posted on the APS website and mobile app, on Facebook and Twitter, and on the APS Emergency Line at 303-326-1080. Parents may also be notified on their phones via our automated messaging system. 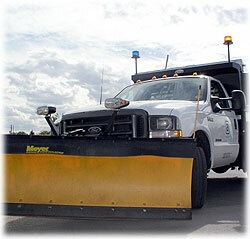 APS will also mobilize school buses, which can take time. Students will not be transported home without parent notification and contact. What happens when the number of school days lost due to emergency school closures exceeds the number of school days required by the state? State law requires a specific number of hours of classroom instruction each school year. If a school does not meet this requirement, the school year must be extended. How can I make sure my student is safe? Since parents are the primary protectors, they will need to decide what is best for their children. The option to keep children home when weather conditions are extreme is always at the parents' discretion and the school understands and respects their decisions. Parents can contact the school and arrange for an excused student absence. In cold weather students should be dressed appropriately. No one can predict when a fire alarm might go off or when buildings might have to be evacuated due to an emergency. Bulky coats and boots can be stored in classrooms, student lockers or other areas designated by the principal. Parents are urged to make arrangements at the beginning of each school year for their children in case of school closures and to plan for the rare situation when it is necessary to close an individual school because of a power failure or other circumstance. Children should know where to go if a parent will not be home and how to contact parents and guardians. Parent contact information, including work telephone numbers, should be kept up-to-date with the school. If you receive a message to pick up your student due to a school closure or early dismissal, you will be asked to present photo ID before the student will be released. What about school bus transportation when the weather is bad? If schools are open, buses will run on their regular schedules as closely as possible, even in inclement weather. If school openings have been delayed, buses will run on a one-hour delayed schedule. Prepare your child in suitable clothing to wait for possible additional time at the bus stop. Parents should have a contingency plan in the event that a bus is running extremely late or breaks down before reaching the bus stop. Discuss with your child what to do and who to call if the bus does not arrive. Have a neighbor, or reliable student "buddy" at the same stop that can help. Does the school district ever close some schools and leave others open? APS may close select schools due to unsafe conditions, but leave other schools open that may not be affected. APS covers more than 155 square miles and conditions can vary throughout the district. How can I find out about school closures or changes in schedules? APS immediately contacts the local news media and requests alert messages when there is a school closure or other emergency situation. Watch major local television stations and listen to the radio. Closure, delayed start or early dismissal information is also posted on the APS website at aurorak12.org, the APS mobile app, Facebook and Twitter, and on the APS Emergency line at 303-326-1080. APS also sends messages to parent phones early in the morning of the the closure or delay using our automated messaging system. If there is a school dismissal during the day, APS sends messages to parent phones as soon as possible. Read the recent FAQ on rain delays, early dismissals and closures.